Bears in 1879 this is the oldest mosque in the city. 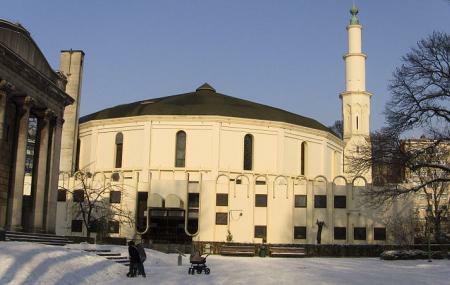 This is also the center of Islamic culture in Belgium.The mosque has a school for the purpose of Raising awareness Islamic faith and also lessons on Arabic. The architecture of the building is Arabic, designed by famous architect Ernest Van Humbeek. The construction of the mosque was funded by Saudi Arabia.